You have taken the initiative to create a video resume. The video has distinguished you from your competition in the job search marketplace. Now, what are you going to do with it? Here are 6 excellent approaches. Send your video, by email, to your employment networking partner before you have that face-to-face meeting. It instantly answers the learn-about-me questions allowing your meeting to concentrate on how he/she may help you get in front of potential hiring managers. Best of all, your networking partner can forward your video web-link to his/her network with positive references. Follow up your on-line applications that seem to have fallen down the black hole of no-reply. Many on-line applications are screened by computers looking for keywords. The application with the most correct keywords wins the interview. Your application may be a couple of keywords short, but you have nothing to lose by following up with a nice email presenting your video resume link. You may gain a second look by a human being without computer discrimination and intervention. Follow up your paper resume “drop-off” at job fairs with a polite “thank you” email containing a link to your video resume. You certainly get that extra opportunity to tell your story on top of the 30 seconds you had in front of the company’s table at the job fair. List your video web-link in the address block at the top of your paper resume. You already have your name, address, home phone, cell phone, and email address. Now, add your video resume web-link and you may get that extra consideration by the hiring manager who is on the fence about inviting you in for that first interview. 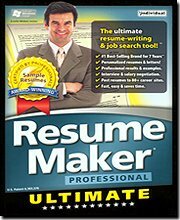 List your video resume web-link on your job search business cards. Always have plenty of business cards available at all times. It demonstrates that you are professional and makes it much easier for people to follow-up with you. Embed your video web-link into your cover letters or target letters sent for potential employment opportunities. The P.S. at the end often has great results. Finally, if a prospective employer has seen your video resume and still did not choose you for additional interviews, don’t be discouraged. In effect, you have had the face-to-face interview, but were spared the emotional roller-coaster ride and the waste of your time.